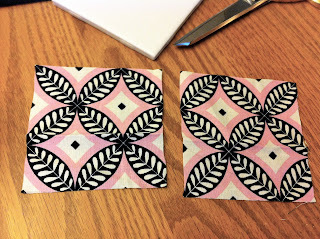 I want to first thank my mother who gave me fabric coasters as a gift. 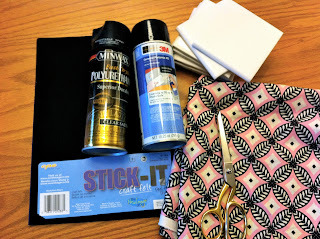 She requested small portions of my favorite fabric from projects that are special to me. I assumed she was making a quilt and was very surprised when she mailed me these adorable and special fabric coasters. Next, use spray adhesive to adhere the fabric to the top of the tile. Smooth out any wrinkles or lines. Then, spray the top of the fabric with polyurethane. I suggest using the spray in a well ventilated area and allow time to dry as directed on the can. Then repeat at least three times. I used three coats and might even add an additional coat next time. The polyurethane helps the fabric from discoloration and seals the fabric with a shiny top coat. This is the perfect gift for mother's day or father's day. You can turn in childhood clothing into a usable keepsake. 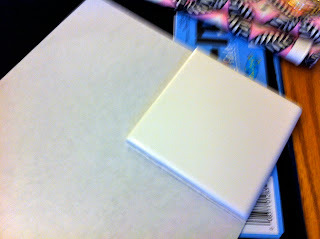 Join me on WBIR Fox Morning Show 3/9/2012 at 8:30am for a tv tutorial of this project.